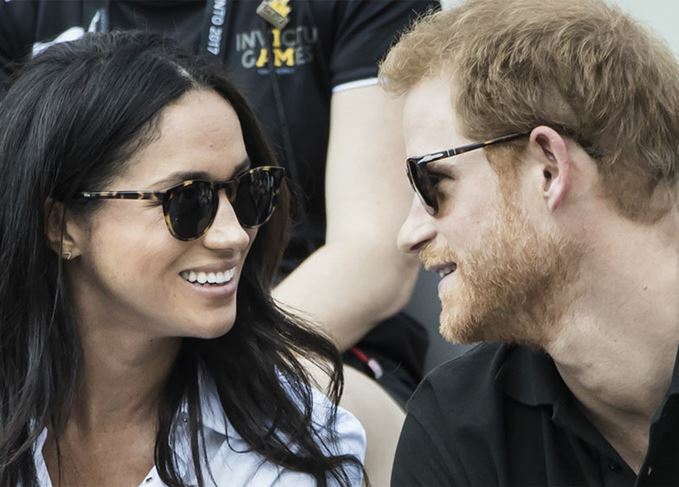 As Prince Harry and Meghan Markle announce their engagement, the Scotch industry braces for another slew of Royal Wedding whiskies – commemorative bottlings with proven records of fast sales and high prices at auction. Becky Paskin looks back through some of the most memorable releases. Just last week Queen Elizabeth II and Prince Philip celebrated their 70th wedding anniversary (20 November), an occasion since dwarfed by headlines of an engagement between the British monarch’s grandson, Prince Harry, and his girlfriend, actress Meghan Markle. As news broke yesterday (27 November), whisky fans took to social media to place their bets as to which Scotch distillery or bottler would be the first to release a commemorative whisky. The Scotch industry has been no stranger to the Royal Family over the centuries, petitioning for royal warrants and sending gifts to monarchs to curry favour. Some distilleries even sought for the privilege to use the royal suffix or prefix for their names – anything to associate themselves, and their products, with wealth and status. In recent history, three Royal Weddings have elicited the release of commemorative whiskies by distilleries and brands not altogether associated with the Royal Family in any way. Nevertheless, limited editions bearing the words ‘Royal Wedding’ and often the happy couple’s faces etched onto the label, have been prevalent. Released as souvenirs, you’d think these whiskies would be lost among all the other commemorative tat that surrounds any momentous royal occasion, but many bottlings stand the test of time, and pick up a pretty penny when they turn up at auction. Macallan’s Royal Marriage, released in 1981 to mark the wedding of Prince Charles to Lady Diana Spencer, originally retailed for around £20 a bottle. Today it can fetch up to £2,000 at auction. The success story doesn’t ‘ring’ true for all Royal Wedding releases however. Bell’s blended Scotch commissions a series of Wade ceramic decanters – shaped like wedding bells – to mark every royal marriage. Perhaps it’s that blends have fallen out of fashion in the UK, or the decanters’ kitsch design, but Bell’s bells return little more than £20 at auction. One for the royalists, and the Bell’s fans. While a UK bank holiday to celebrate Harry and Megs’ wedding may not be a certainty, the release of commemorative whiskies is, if precedent is anything to go by. With the big day not until next spring, speculation on what those whiskies will be is set to continue for some time. In the meantime, here’s a reminder of the Scotch whiskies bottled to celebrate a Royal Wedding in recent history, and which players are most likely to make a comeback in 2018. To mark the marriage of the Prince of Wales to Lady Diana Spencer, Macallan-Glenlivet Ltd bottled this one-off vatting of Macallan single malt distilled in 1948 and 1961 – the birth years of the happy couple. Released in 1981, the 43% abv expression did not carry an age statement. Today, this bottling can reach up to £2,000 at auction. This ‘unblended all malt’ from The Glenlivet was a limited edition of several hundred bottles created in celebration of Prince Charles’ marriage to Lady Diana Spencer on 29 July 1981. Bottled at 43% abv, the 25-year-old Glenlivet contained a high proportion of Sherry cask-matured whisky. bottles can still be found on auction sites and with retailers, although prices vary wildly between around £480-£1,200. Adorned with quite possibly the most ornate neck tag for a bottle of Scotch whisky, Whyte & Mackay’s 12-year-old blend was released to celebrate the marriage of Prince Charles and Lady Diana. The expression, presented in a squat, round bottle, came complete with its own royal blue box. Bottles can still be found occassionally at specialist retailers for around £200-£360. In the early 1980s, Bruichladdich distillery went through a period of reduced production. That didn’t stop then-owner Invergordon Distillers from choosing a 1965 vintage single malt from the distillery to commemorate the Royal Wedding of 1981. The release was put out as a 15-year-old, bottled in a ceramic decanter – which like the Bell’s release carried portraits of Charles and Diana – which came complete with an ornate stopper. The expression was bottled at the unusually high strength of 52% abv, a rarity for single malts in the early 1980s. Extremely rare, bottles hardly ever show up at auction but command around £400 when they do. Using the same principle as the guys at Macallan, independent bottler Gordon & MacPhail produced its own vatting of single malts distilled in the birth years of Prince Charles and Lady Diana to celebrate their marriage in 1981. Two Glen Grant vintages were used for this release – 1948 and 1961, which was bottled at 40% abv. Bottles tend to surface at auction regularly, and can go for around £300. Meanwhile, Glen Grant distillery itself had its own idea to bottle a commemorative whisky in 1981 – a 25-year-old single malt named the Royal Wedding Reserve. Today the distillery’s own bottling reaches lower hammer prices than Gordon & MacPhail’s bottling at auction, around £150. Five years after Charles and Diana wed, it was the turn of Queen Elizabeth’s second son, Prince Andrew to Sarah ‘Fergie’ Ferguson. To mark the occasion, Gordon & MacPhail once again vatted together single malts from the couple’s birth years – 1959 and 1960. However this time it chose to bottle single malts from a series of distilleries, including Glen Grant, Glendronach, Linkwood, Mortlach and Macallan (labelled Pride of Strathspey) plus a MacPhail’s bottling. The range was bottled in both 70cl and miniature formats, with bottles of the latter commanding hammer prices of between £45-£300 at auction today. Only 1,000 bottles of Macallan Royal Marriage were produced to mark the nuptials between Wills and Kate in 2011. The limited edition was produced from two single casks laid down in 1996 and 1999 (obviously not their birth years), which were married and bottled at 46.8% abv. Originally priced at £100 a bottle, on the rare occasion it still surfaces at auction, Macallan Royal Marriage 2011 can fetch around £1,200. Will we see a return for the Macallan in 2018? Prince Harry’s birth year is 1984, and Meghan Markle’s 1981. Just saying. In 2011 Hart Brothers bottled one of only two single malts released to mark a Royal Wedding. Just 820 bottles of Littlemill 20-year-old were produced for the bottler’s celebratory dram, each of which was individually numbered and presented in a wooden box. Littlemill itself ceased production in 1994, long before Wills and Kate met at the University of St Andrews. Not one of the finest examples of Littlemill, the expression – despite being from a closed distillery – today can be picked up for around £100 at auction. The release of 213 bottles of 1982 Port Ellen – from the year of both Prince William and Kate Middleton’s births – also marked the first single cask whisky to be dedicated to a royal couple. Bottled by UK-based retailer The Whisky Exchange, the heavily Sherried expression from cask #2290 was released at 53% abv. Bottles of Port Ellen tend to fetch high prices at auction anyway, so it’s no surprise that TWE’s bottling comes in at around £1,000. Designed as a collectors’ item, Bell’s commissioned a series of Wade ceramic decanters to mark the Royal Weddings in 1981, 1986 and 2011. The decanters – each shaped like a ‘wedding bell’ – carried a portrait of each couple on the side. Decanters have also been released to mark Queen Elizabeth II and Prince Philip’s various wedding anniversaries. Hotly tipped to make a return in 2018 for the marriage of Harry and Meghan. As a novelty item, Bell’s Bells tend not to gather huge amounts of interest on the secondary market. A pair of wedding bells recently sold for just £40 at auction. Just 184 bottles of 30-year-old Royal Lochnagar gifted to Prince Charles are to be sold.